KL Eco Park, a unique park in the heart of Kuala Lumpur. 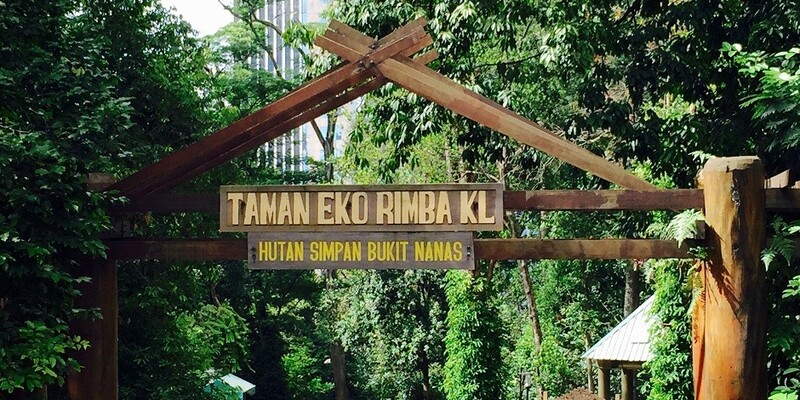 KL Eco Park is not a new location, it was previously known as Bukit Nanas Forest Reserve which is located in the heart of Kuala Lumpur. It is an area designated as a forest reserve since 1906 again. 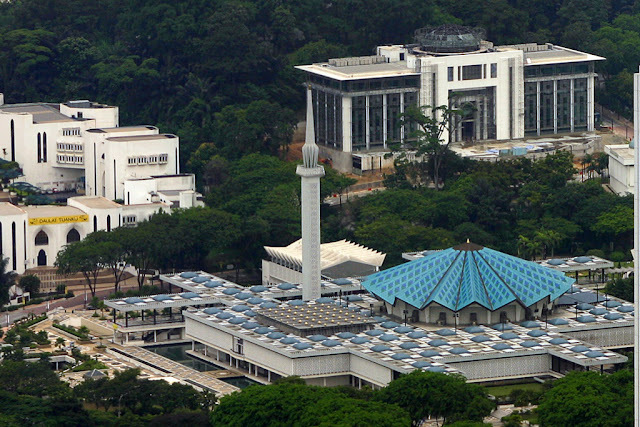 The location is next to KL Tower, add the uniqueness of both these important locations and facilitate the visit of visitors. 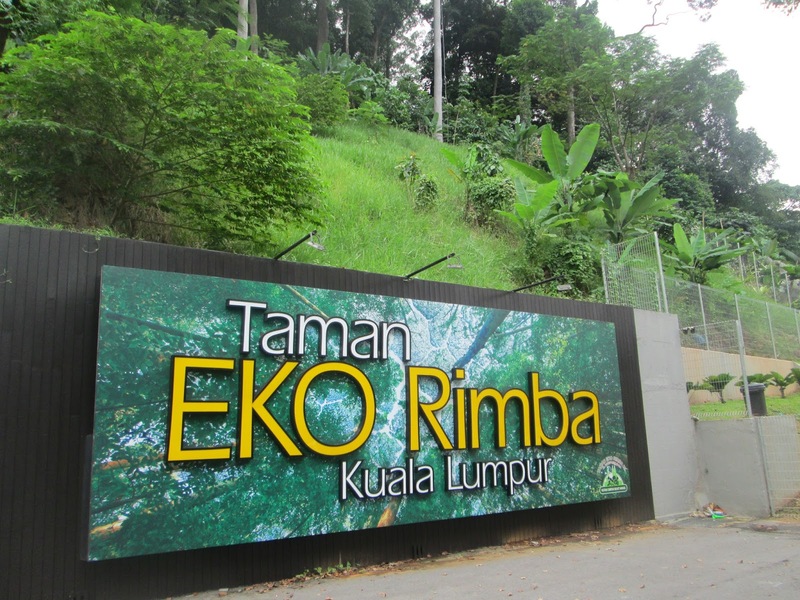 KL Eco Park has its own attraction for travelers by providing special routes like Route Merbau Trail (360m), Jelutong Trail (300m) and Canopy Walk (200m) with a height of 21 meters above the trees. 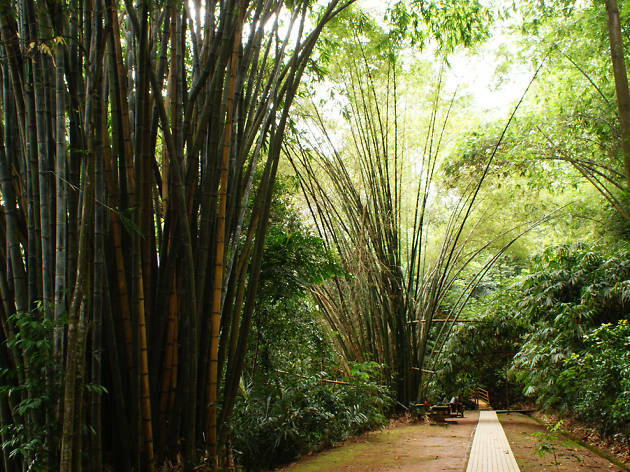 It is an attraction that helps the visitors to get to know more about the tropical forest. Gate at KL Eco Park. 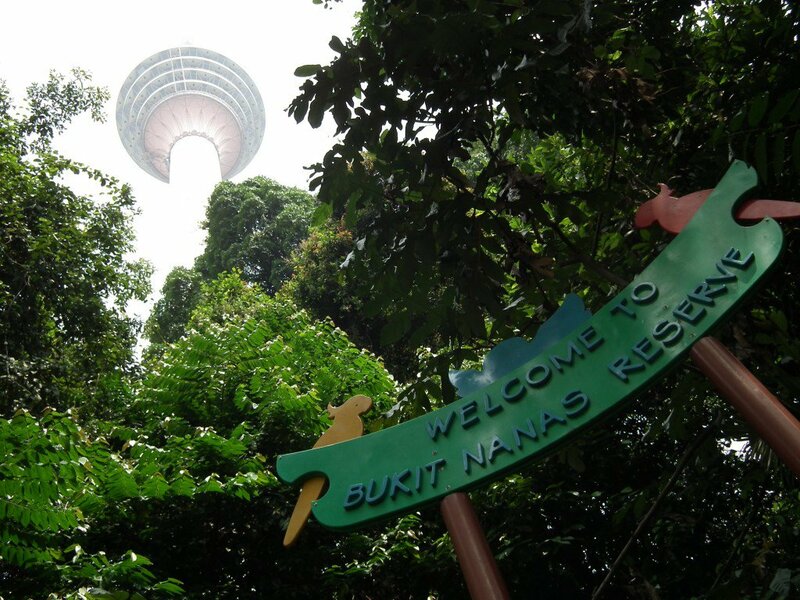 Formerly known as Bukit Nanas Forest Reserve. One of the trails at KL Eco Park. 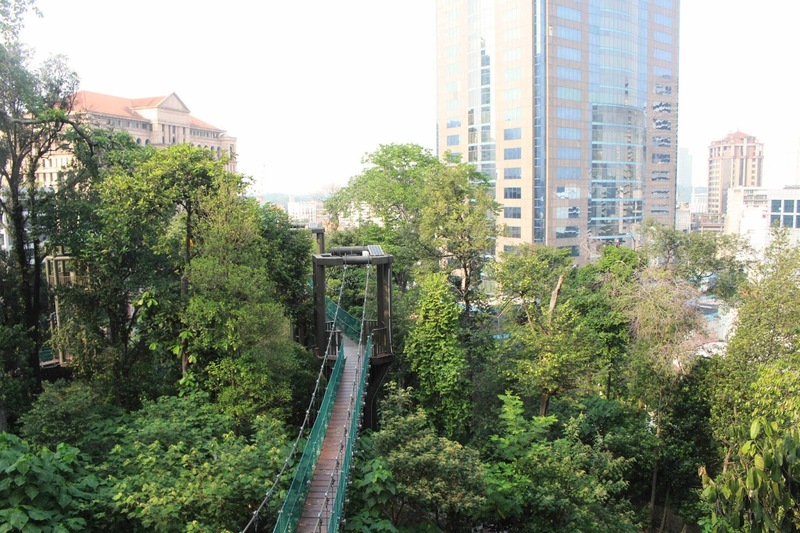 Altogether there are about 233 species of trees and 12 species of animals that makes KL Eco Park as their habitat, whereas the species of animals not including some species of birds that not normally seen through the park at certain times. Although the entrance fee to the park is FREE proposals to charge the visitors in the future has been announced. The fee is to help the maintenance work done more frequently to ensure that the park facilities are in good condition. The proposed ticket prices are RM12 for adults and RM4 for children, while tickets for tourists are RM40 for adults and RM18 for children. The bridge of Canopy Walk. Against the backdrop of the City of Kuala Lumpur. The path to the Canopy Walk. If you would like to see more uniqueness of KL Eco Park you can visit this park while it's still free. The admission fee is not too high if it can maintain good facilities with effective management. Visiting hours are between 7:00 am until 6:00 pm each day.